Earn 65 Duke Club Points when you buy this product. 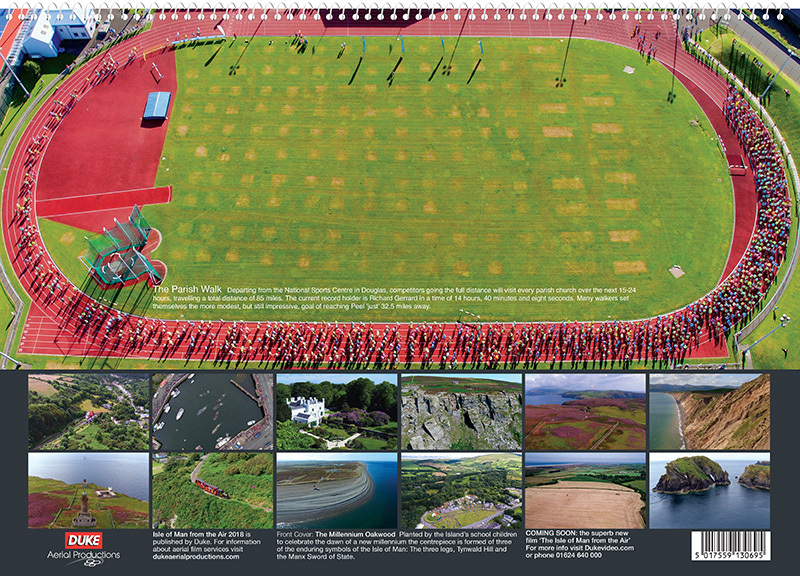 The brand new Isle of Man from the Air calendar showcases a new and fascinating aerial view of the 'Jewel in the Irish Sea' every month. From the rugged, sea beaten cliffs of the south to the wide and rich north there's so much of the Isle of Man that is seen best from above. Our new calendar will take you to the heart of the island for Tynwald Day, to the furthest north and south to examine the famous Stevenson lighthouses and to Groudle Glen to see the pretty Victorian miniature railway. Each month's image is printed on high quality photographic paper (Ilford Galerie prestige 200gsm) in A3 landscape format, spiral bound and specially packed for pristine delivery wherever in the World you are.